In delineating a chart, one of the first steps after setting up the chart is seeing what sign the Sun, Moon and the Ascendant are in, in order to give a general overview of the individual in question. The next step would be seeing what the elements and the modalities of planets are, to provide a more precise general view of how the individual will react and how quickly. Most everyone is aware of the four elements which is fire, earth, air and water. The modality of the planets are less emphasized and generally less well known or used by the general public, although it is an important tool for the astrologer. The Cardinal signs include Aries, Cancer, Libra, Capricorn, and planets located in the first, third, seventh, and tenth house are considered energetic, dynamic, proactive and responsive to any situation in life. The Fixed signs include Taurus, Leo, Scorpio, Aquarius, and planets in the second. Fifth, eighth, and the eleventh house are considered persistent, persevering, stubborn, and stable with resistance to change. The Mutable signs include Gemini, Virgo, Sagittarius, Pisces, and planets in the third, sixth, ninth, and twelfth house are considered flexible, changeable adaptable, versatile, suggestive and possibility of being scattered. They are good at multitasking, but with too many mutable planets indicate nervousness and the inability to finish any one thing. These are very good keywords and may give one a quick overview of the individual, but I found that I needed other keywords to help me give a more diverse and colorful delineation to the individual and the way he reacts to his surroundings. I have my Sun in Taurus and five planets in Gemini and the interpretation for the fixed and mutable seem too cut and dry. I realized that the colors of my life ranges from white to shades of grey and then to black, and I needed the words to describe these colors. It came to my thoughts that I needed an Over Lord to give more meaning to the modalities. I chose the planet Mars to be the Over Lord to the Cardinal planets with its’ fiery energy to get things started and the keyword is “to anticipate and to create”. As Cardinal planets get things done and completed, it is the anticipation of the results that creates other projects, which keeps the Cardinal planets on the go. At first I thought Saturn should be the Over Lord of the fixed planets, but I realized it had to be Venus with the keyword as “to love and to appreciate”. The Fixed planets appear to be stubborn and resistant to change, because they love what they are doing and who they are. 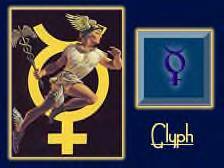 Mercury as the Over Lord of the Mutable planets is obvious and the keyword is “to improvise and to combine”. The ability to accept and see all possibilities, and the ability to improvise and combine, to come to a final outcome, is invaluable. I found by combining the meanings of the Over Lords and the keywords with the Planets in their elements and modality, a clearer and a more diverse picture of the individual emerges from the chart. I hope this will give you some subtle clarity that was not so obvious before. In delineating a chart I have always been taught to note the position of the Sun, Moon and ascendant, and then go on from there. This makes perfect sense as one wants to have a general first impression and then one will blend the aspects with the other information to obtain a more perfect description of the individual in question. One of the other important points is to look at the North and South Nodes or Dragon’s Head and Tail which are not planets in the strict astronomical sense, but rather sensitive points on the ecliptic, where the pathways of the Moon crosses the course of the Sun. The location and the sign of the Nodes are extremely important to understand and to delineate, as the Nodes colors the rest of the chart. The North Node or Dragon’s Head indicates the purpose and the direction we should take to learn the lessons we need, and to gain knowledge of the methods by which we may create the harmony, and enhance our personal development. The South Node or Dragon’s Tail symbolizes the lessons and results from past lives or past actions in this life, where the tasks we encountered hadn’t been quite mastered, so we need to repeat the same situation so that we may perfect the results. 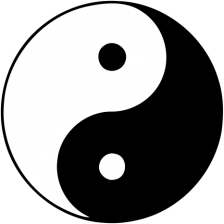 The one main point to understand about the nodes is not to see them as separate aspects, but as one whole unit like the Yin and Yang, which are opposites, but yet one in their effort to accomplish their purpose in this life time. The Nodes are really neutral, but take on a benefic or malefic aspect by how we use and understand them. They take on the subtle essence of the qualities of the Moon in that they are receptive, nurturing, instinctive, cyclical, erratic, and have an attachment to the surroundings and the need for security. The following is some keywords of the Nodes through the houses. I have connected the meanings of the opposite houses as they too are connected as one and need to be interpreted the same way as the Nodes. To experience the personal power of being an individual and not relinquishing authority to others, but at the same time recognizing others, as individuals with their own personal power, as individuals and as part of a unit. To acquire, and accumulate knowledge and material things which will give us, self worth and provide the peace and security we seek, but at the same time be able to use other people’s resources to help us, and them. To cultivate the curiosity to gather, study, share information and knowledge with the talent to listen to others and realize that Higher Understanding comes from cultivating faith, spiritual understanding, and learning to trust one’s intuition. To understand and appreciate your motivations, needs, fears, and to establish your independent roots in the form of your environment and home, and at the same time, to realize what purpose and influence you will need to have a meaningful career that will direct your energies toward society. To develop the creative self expression of your environment, pleasures and to surround yourself with your friends, and to realize as much as you need them, they also need you, and together, a happier and more satisfying life will come about. To focus on duty, devotion, discipline, personal skills, service to others, develop discrimination with attention to details, and to see that the inner world of your dreams and imagination is as real and solid as the outer world. Have the compassion and appreciation for the perfection of the imperfection. The intensity to experience life and wanting to be noticed and recognized as being revolutionary in one’s approach to life and the ability to regenerate and transform ideas and self. To learn to develop the will power of letting go of your attachments that is no longer meaningful to you, so that one can move on, to that which works for you. You will be willing to risk what you have in order to reach higher levels of attainment of your spiritual, occult and sexual life and you will need to cultivate the compassion and self control with others. As you become more intense and full of life, you will realize that you will attract others just as intense, and you need to provide and respect their space. As you can see, the Nodes give us purpose and direction and will color all the other planets in the natal chart to fulfill the vision in this life, giving us the happiness, peace and satisfaction for a life well lived. The new moon period has become my favorite period of the month as it brings my thoughts back to what I want, and the goals I am working towards. In our fast paced life in cyberspace the period that we allow for contemplation and meditation has become shorter and shorter. By greeting the New Moon each month, we give our selves a few moments to review what we have done and what we wish to accomplish in the next period of time. As we look to each new moon in the different signs and positions in the chart we become aware how it affects us during the coming month, and it will give us new insights into what areas we need to concentrate on. This is an important month with the New Moon at 25 degrees of Scorpio on November 16th 2009 as this sign gives us the energy, determination and intent to fulfill what we wish to accomplish. As the moon moves into the sign of Sagittarius, it is asking us what are the true motives lying beneath our wishes and desires for the future. The ongoing aspects with Jupiter, Neptune, Venus, Saturn and Uranus keeps pushing us not only as a global unit, but as individuals to make major changes in our lives, and to understand the reason for those changes. 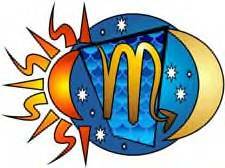 “The Sabian symbol for the 25th degree of Scorpio is taken from “The Sabian Symbols in Astrology by Marc Edmund Jones”, and what follows are my comments. Scorpio 25 An X ray This is a symbol of man’s organic integrity, or of the unvarying structures of nature on which all intelligence depends. There is here an emphasis on the well-being of each individual as a foundation for his self-realization in the world he shares with his fellows, and on his responsibility to keep himself fit for the performance of his part in the common functioning. He recognizes himself as the measure of all effective reality, and sees everything around him as a continual revelation or validation of his own capacity. The keyword is investigation. When positive, the degree is an exceptional power of analysis, and when negative, uncritical over-sensitiveness to both the condition of self and the state of society. Let all thoughts and wishes including those thoughts and wishes we think unimportant be energized with enthusiasm, and given a place of honor for their moment in the sun. Have respect for your thoughts and wishes, and see which ones should be brought into manifestation, no matter how unattainable they appear to be. Do research and communicate with others in the know, which of your thoughts and wishes have the right ingredients to be materialized. 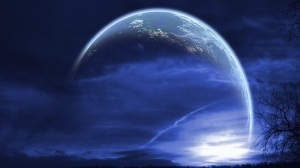 What in your surrounding environment should be changed to reflect the new you, you want to be? What new friends and pleasures will help bring about your change of thoughts and wishes you want? Has the meaning of the words; work, service and love expanded or changed in your lexicon? Who shares the same wishes and hopes for the future as you do? Who shares the same joys and excitement as you? What part of life has come to an end and needs to change, and what changes are for the better? Your wishes and wants need to be made part of your belief system, and become real in your world by visualizing it into reality. Although at the moment you may have not achieved your dreams, you need to cultivate the attitude that you will in time and the attitude, you are already there. Remember to keep those who will inspire you and those who are the inspiration to achieve your goals, close at hand. Keep your thoughts and wishes private until they sprout, for you don’t want them uprooted before they bloom. In this New Moon period we may not need a make over, but some of us will need to remind our selves what our goals are, and whether we lost track of what is important to our true happiness. Like this phase of the moon, we need to take our light that was hidden under a bushel and let it glow for all to experience and enjoy.